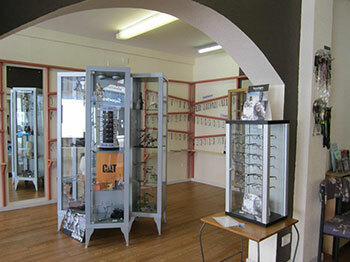 Adult and Children’s Opticians first opened its doors in December 1989. 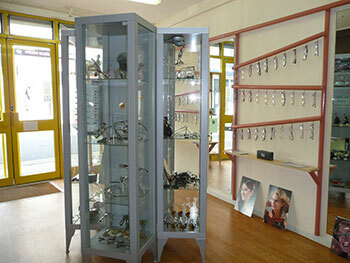 We are a family run, independent practice with a holistic approach to eye care. 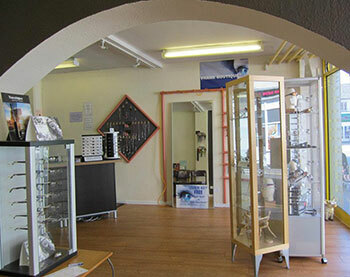 We love to embrace the wider aspects of eye care and place particular importance upon listening carefully to your eye concerns and visual needs. We believe in informing and advising where we can and you can find lots of useful eye facts and eye health information on our web site and our Facebook and Pinterest pages. Adult and Children’s Opticians was one of the first practices in the country designed with the needs of young children and parents in mind. 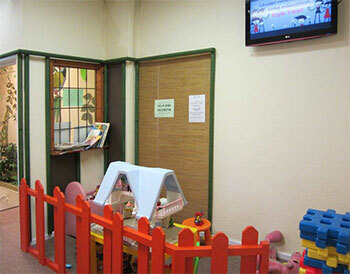 We have a large playroom full of toys, videos, baby room and a particularly large selection of infant and children’s frames to fit all pockets. All our optometrists are fully qualified and very experienced in working with young children and coping with the needs of children whilst testing accompanying adults. We aim to achieve a relaxing and stress free environment for all the family so that you and your children can enjoy regular eye care. Fitting and adjusting of glasses for young children is completely different from adults and between us we have over fifty years experience. We have a special interest in Behavioural Optometry, a more holistic approach to evaluating visual performance. Behavioural Optometry can often be helpful when more traditional eye care falls short. Examples might be work and stress related visual symptoms, classroom and learning difficulties, sporting performance, spatial awareness issues, visual discomfort or deteriorating performance over time. A large part of the practice space is devoted to Vision Therapy for both adults and children, a valuable treatment aimed at building visual skills where development has been delayed or skills have deteriorated through injury or illness or for those who require an extra competitive edge for sport. We also carry out Colorimeter Assessments for tinted lenses and for coloured overlays for use in the classroom or workplace – Helpful for visual perceptual disturbance and Irlen or Scotopic Sensitivity Syndrome. All our optometrists are fully qualified and accredited to carry out PEARS and WEHE eye health examinations free under the Welsh Eye Care Initiative. Assessments are undertaken for Local (Education) Authorities, schools and colleges, government departments, private sector employers, and private individuals. No referral is necessary.